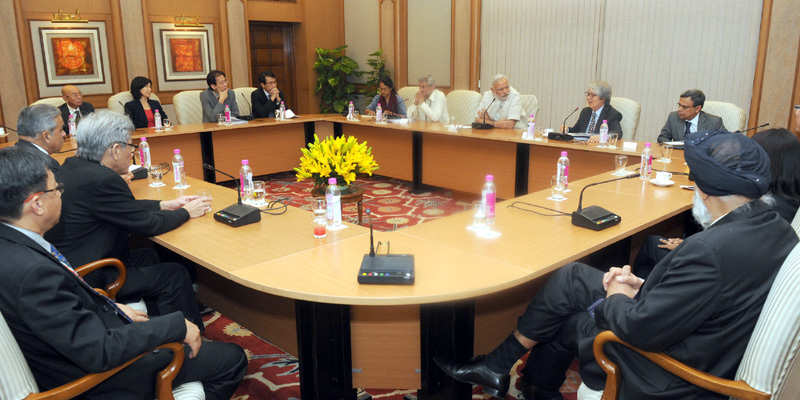 The visiting members of the India-Singapore Strategic Dialogue call on the Prime Minister, Mr. Narendra Modi, in New Delhi on May 20, 2015. New Delhi (PIB-GR-TYP-BIN): The visiting members of the India-Singapore Strategic Dialogue, led by Co-Chairman Prof. Tommy Koh, called on the Prime Minister Mr. Narendra Modi on May 20. Interacting with the delegation, the Prime Minister said India would like to benefit from Singapore’s expertise in the fields of urban management, urban development and urban administration. He also sought Singapore’s support in capacity-building in human resources for urban management and urban administration. The members appreciated the Union Government’s Smart Cities initiative. Bhutto was the target of many militant groups.